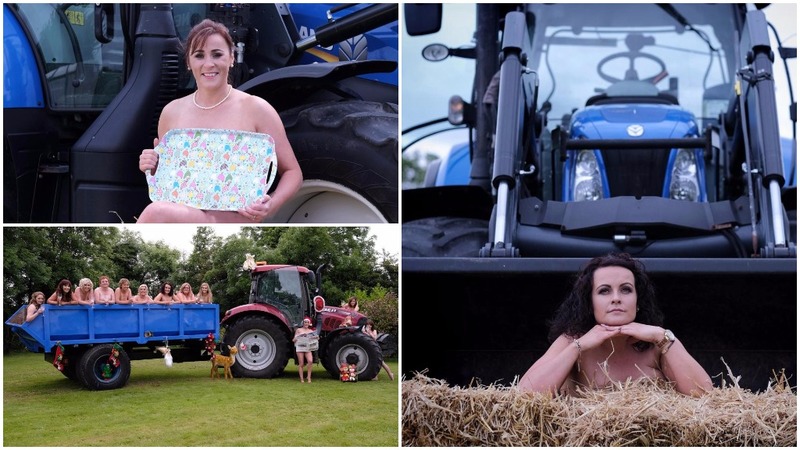 Twelve brave women have stripped down to take part in a charity calendar for a tractor-loving youngster who requires 24-hour care. 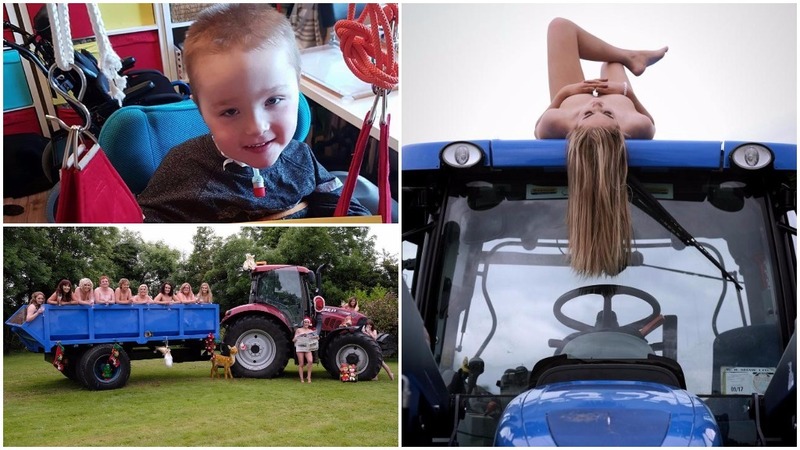 Billy Goulding, 5, who is the son of a Tipperary beef farmer, was just two and a half when he collapsed at home while playing with his sister. He was rushed to hospital but, within hours, lost all movement in his arms and legs. He’d contracted an inflammation of the spinal cord called Transverse Myelitis which paralysed him from the chin down. Now five, tractor fan Billy needs to be watched constantly, even while he sleeps, so his breathing tube doesn’t block. Since collapsing in 2014 Billy has been almost completely paralysed, but recently he’s been able to move his arm and he’s breathing on his own for periods of time. Twice a year, Billy travels to England, to Stoke Mandeville Hospital, for rehabilitation. His mum Eileen told Farmers Guardian: "Billy is tractor mad. He gets so excited when he sees a tractor. "His favourite is blue - New Holland. His dad Victor has a blue tractor. That’s where we got the idea of a tractor calender to raise funds for Billy as he has a serious journey ahead of him in rehabilitation. “He is getting movement in his left arm, he can lift his arm up and slap it down. His brain is 100 per cent, he’s so intelligent and so happy. “He has his own way of communicating, we can understand him and his speech has come on. He is unbelievable, he’s a little soldier. “We’re hoping and hoping and praying for more movement. When I see a child in a wheelchair being able to move their arms, that’s my dream. 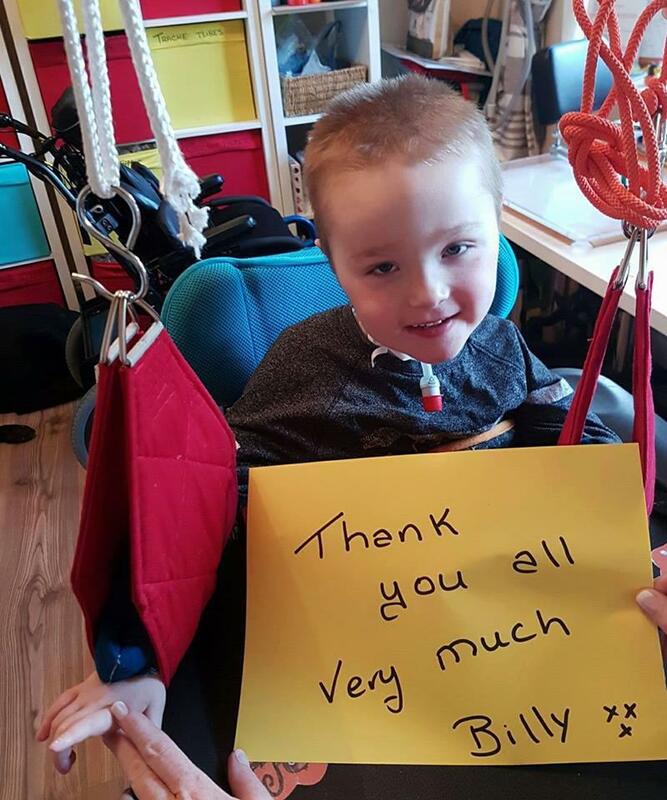 They will use the money to make Billy’s home more accessible as well as providing treatments like physiotherapy and reflexology to help improve his condition. Eileen took part in the charity calendar and said shooting the saucy fundraiser was great fun. Another one of the calendar participants Caroline O’Connor said the 12 women who took part were nervous to strip down, but were happy to bare almost all for a good cause. She said: “It was absolutely Baltic, we were freezing but the adrenalin and the craic made us feel warm. “Billy is the most beautiful child you’ve ever seen, you’d fall in love with him the minute you met him.